Romania’s former King Michael I, a onetime boy monarch who later engineered the ouster of pro-Nazi strongman Gen. Ion Antonescu during World War II, only to be forced at gunpoint to abdicate by a communist-led postwar government, died Dec. 5 at his home in Aubonne, Switzerland. He was 96. The cause of death was not immediately announced in a statement from the royal house, but the former monarch had been treated for leukemia and another type of cancer for at least the past year, the family had earlier announced. 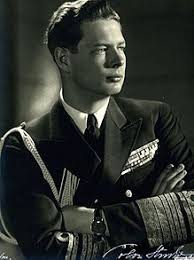 King Michael, a member of the House of Hohenzollern and a distant cousin of Britain’s Queen Elizabeth II, was one of the last surviving links to Europe’s royal heads of state before and during World War II. He lived a life defined by political intrigue and buffeted by nearly every major upheaval on the continent in the past century. Banished by the communists in early 1948, he spent decades in exile before returning to his homeland amid the collapse of the Soviet bloc. He eventually carved out a role as an unofficial diplomat, helping Romania join NATO in 2004 and the European Union in 2007. At age 5, in 1927, he became Europe’s youngest king after the ouster of his father, Carol II, who had been given an ultimatum to pick his mistress or the throne. Known for his errant ways, Carol chose the former and went into exile. A council of advisers was set up as a proxy leadership for the young king, but it fell into bickering and rivalries, and Carol returned in 1930 to replace King Michael as monarch. As King Michael finished his education, Carol abolished the constitution and paved the way for his overthrow in 1940 by a military government led by the fascist Antonescu and his “Iron Guard” regime. Suddenly reinstalled at 18 as a figurehead, King Michael said Antonescu treated him “like a child” and excluded him from strategic decisions even though he was nominally head of state and the military. Although King Michael was said to have harbored loyalties to the West, his country formalized ties with Berlin. The Allies responded with attacks that included a daring, low-level 1943 mission by U.S. bombers against key oil facilities in Ploesti that were feeding the German war machine. Decades after the war, King Michael told Radio Free Europe that his mother, Princess Helen of Greece and Denmark — whose influence spanned from Antonescu to Romania’s chief rabbi — saved more than 100,000 Jews as Nazi backers ravaged the country. In 1944, as Soviets advanced on Romania, King Michael built a clandestine network of pro-Allied plotters — including Soviet-linked factions — to lead a revolt that ousted Antonescu, who was later put to death for crimes including the deaths of Romanian Jews and others during the war. King Michael said he rallied his countrymen and staved off attempts by the Germans to replace Antonescu with a puppet leader. Under King Michael’s command, Romania signed an armistice with the Allies, speeding the Red Army’s push through the Balkans. The Soviet Union bestowed on him one of its highest military honors, the diamond-studded Order of Victory. But after the war, with thousands of Russian troops stationed in Romania, communists gained a firm grip on power despite opposition from King Michael and his supporters. On Dec. 30, 1947, King Michael was preparing for a New Year’s party at Peles Castle in Sinaia, north of Bucharest, when he was summoned to the capital by government leaders. The streets were filled with pro-communist forces, and King Michael was presented with a typed letter of abdication. A communist leader — accounts vary on precisely who — pointed a gun at the monarch with a demand: Leave the throne or up to 1,000 detained students could be shot. Later that day, a proclamation was read abolishing the monarchy. Days later, King Michael was forced to leave the country, and his relatives followed. Later in 1948, he married Princess Anne of Bourbon-Parma, the independent-minded daughter of Denmark’s princess and a distant cousin he met at the Elizabeth-Philip wedding. They joined a collection of exiled monarchs whose bloodlines often intersected. King Michael, tall and lanky even into old age, was rarely seen in public without a well-tailored suit and carefully knotted tie. His English carried an upper-crust polish yet still hinted at his Romanian roots. The couple bounced between Britain, Italy and Switzerland as their family grew to include five daughters who all were given the title princess even though their royal line was outlawed in Romania. During more than four decades in exile, King Michael was variously a chicken farmer in England, a pilot and instrument tester for a European subsidiary of U.S.-based Lear aircraft (he had learned to fly during the war), and a stockbroker often working from a villa near Geneva. The fall of the Iron Curtain opened a new chapter for the couple. On Christmas Day in 1990 — a year after the toppling of Romania’s communist strongman Nicolae Ceausescu — King Michael led an entourage back to the country on a 24-hour visa. Less than two years later, on Easter 1992, Romanian authorities gave full permission for his return. A speech from the window of his hotel room drew staggering crowds, which so alarmed Romania’s leaders that King Michael was denied reentry until 1997 after his citizenship was restored. King Michael’s popularity went only so far. A movement urging the return of the monarchy took root in the late 1990s but never developed serious political clout. 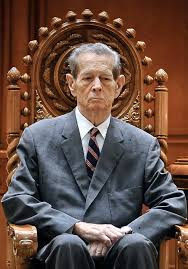 On his 90th birthday, in 2011, he addressed Romania’s Parliament in a speech that included some old-style noblesse oblige that seemed awkwardly out of step in a nation that was by then part of major Western military and political institutions. Michael I was born Oct. 25, 1921, at Foisor Castle in Sinaia as the only child of Crown Prince Carol II and Princess Helen. Carol soon threw the family into turmoil with an open affair with a red-haired courtesan whose family background included a Roman Catholic mother and Jewish father. It was too much scandal for Romania’s royal court. Carol was pressured to renounce his right to the throne in 1925 and left for Paris with his mistress, Elena “Magda” Lupescu, at his side. In 1927, Prince Michael ascended to the throne after the death of his grandfather, Ferdinand I. A postage stamp issued at the time shows the new King Michael as a chubby-cheeked boy with slightly tousled hair and wearing a shirt and tie. After King Michael and Queen Anne’s return in the 1990s, the former monarch increasingly was seen as a symbol of national unity and identity. In March 2016, King Michael announced retirement from public life as he suffered from such ailments as leukemia. His duties fell to his eldest daughter, known as Crown Princess Margareta. Queen Anne died in 2016. Survivors include his daughters. In 2009, King Michael told Radio Free Europe that the hardships of the Cold War should not be forgotten even as Romania found relative prosperity with the West.